1.Fits all stand plates,different designs. 2.Fixe and decorate license plate. 3.Design and size is variable according to customers requirement. 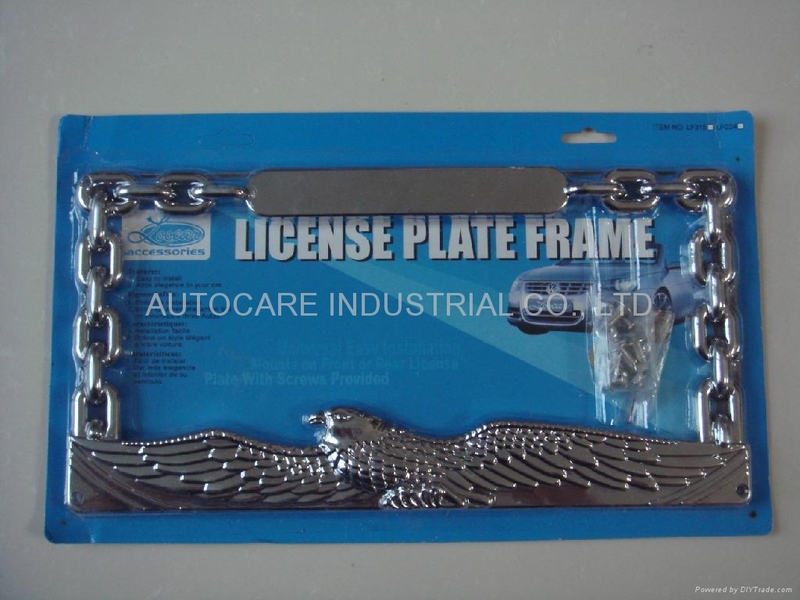 4.Use the material of ABS,Stainless Steel car license plate frame. If you are interested in this kind of license plate frame,please feel free to contact us,we promise our products are good quality and competitive price,thank you.